Mexico is a huge country. It’s the 14th largest in the world. That means there’s a lot to see. Having a Mexico bucket list, for me, is a great way to keep track of all of the beauty that I want to see and also to record all of the beauty afterward. It’s a country with varying landscapes. It’s ripe with volcanoes and mountains that need exploring. There are pristine beaches, big cities, tiny islands, and small towns with some of the best food in the country waiting to be eaten (by me!). In the last few weeks, as I have tried to plan out our weekends, our long vacations, any spare moment for that matter, I find myself collecting names of places that I want to visit. 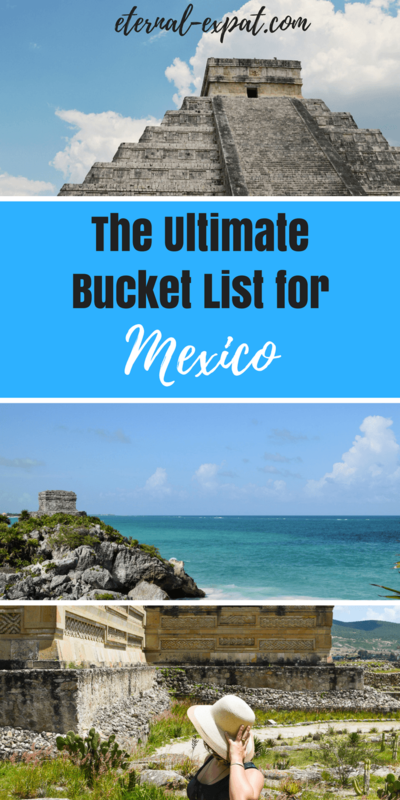 I thought I would put together this list as a way to remind myself to get out there and see more and as a way for those of you planning to come to Mexico to have a bucket list for yourselves. As I explore the country, I will revisit this post and link to anything that I write. I’ll probably also add places as I learn about them. I refrain from saying “check it off,” because this isn’t about simply getting it done, it’s about truly enjoying this country that I currently call home. I hope you’ll enjoy it, too. Tulum is one of the reasons I was so excited about moving to Mexico. It was a port town for the Mayans and the ruins now sit against stunning Caribbean blue waters. 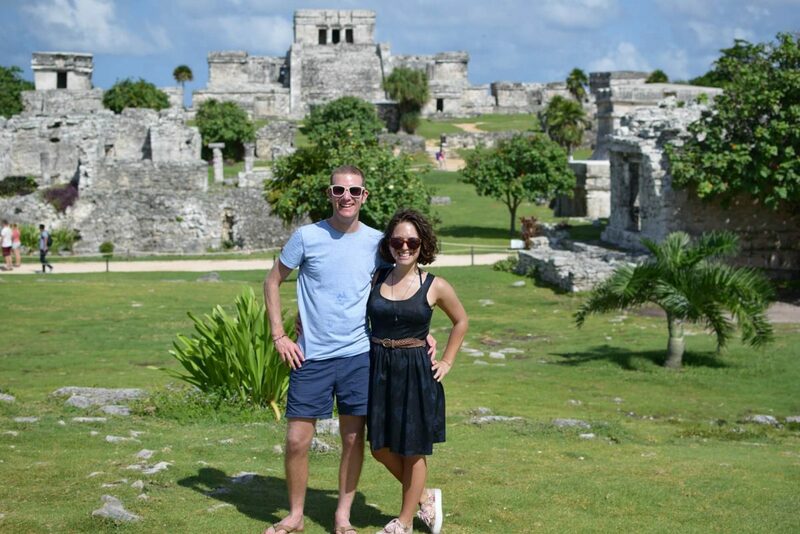 I would love to explore the ruins and spend a view days at Tulum Playa enjoying the beach and the ocean. It’s pretty far from where we are, but it’s high on my priority list. Done! See my Tulum Post Here and tons of photos of this beautiful place here. Xochimilco seems a bit like a tacky tourist town, but a Mexican one. There are boat rides through the canal, mariachi bands, taco stands, trinkets to buy, and a huge garden to wander around. It’s just South of the city center and an easy day trip from Mexico City. Done! Check out my Guide to Xochimilco here. Banco Chinchorro is a reef off of the east coast in the Caribbean Sea. It’s home to nine shipwrecks and some of the best diving in the country. Ever since Luke and I got certified last year we have been chomping at the bit to get diving again and this warm water paradise is exactly where I want to do it. These Aztec ruins are only an hour bus ride from Mexico City, making is an easy day trip from the city. Teotihuacan means “the place where men became gods.” It’s home to some of the largest ancient pyramids in the world (the 3rd largest to be exact). Aztec legend has it that this is where the gods gathered to discuss the creation of man. It was built between 300 BC and 450 AD. It’s a huge complex with a museum and several pyramids to explore and I cannot wait to get out there on a tour and see it with my own eyes. Done! 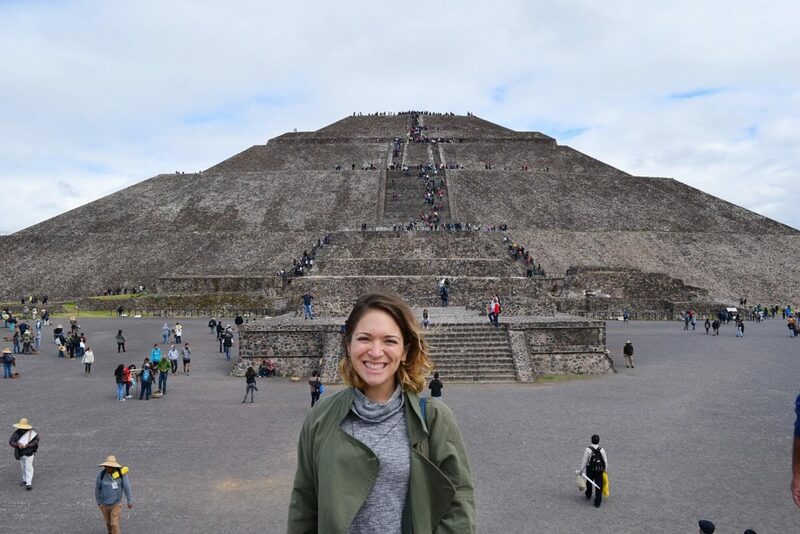 See my Teotihuacan post here! Guadalajara is the second biggest city in the country. It’s the birthplace of mariachi and tequila. It’s full of museums, colonial buildings, and a huge national park that I want to explore. A lot of expats opt for the cheaper living in Guadalajara and after reading some accounts of the food and drink scene there, I’m dying to visit. Done! Check out My Guadalajara posts here! Luke and I have been dreaming of seeing Whale Sharks up close since we missed out on it in the Philippines. They don’t chum the waters and they don’t promise an encounter, but they migrate past this area of the country between July and September and I would absolutely love to catch a glimpse. Edit: I recently learned that swimming with whale sharks isn’t really the best thing for the whale sharks. While it’s still an incredibly popular thing to do, I have made the decision that it isn’t for me. As always, these are my own personal opinions, but I do highly recommend doing your research before choosing to take part in any tourism that involves animals. I did, however, visit Isla Holbox and this is what I thought of it. Akumal is a little resort town in the Riviera Maya. 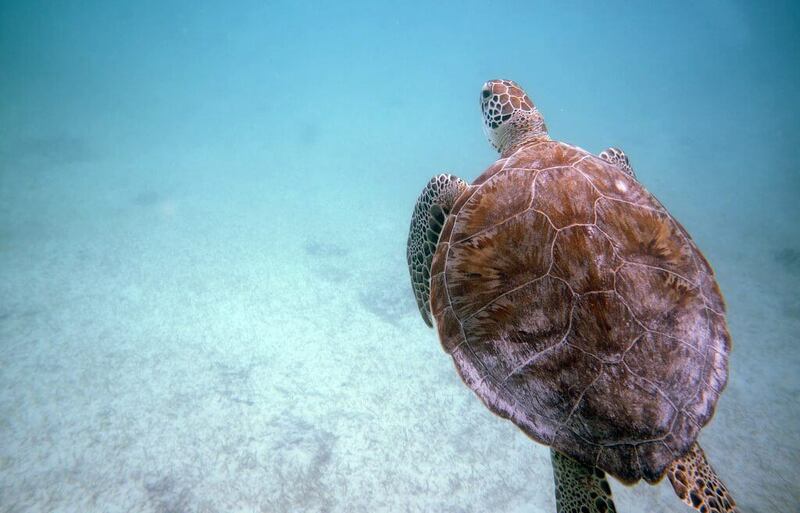 It’s known for it’s abundance of animal life, including tons and tons of turtles. I would love to spend a long weekend laying on it’s famous white sand beaches and snorkeling with some new friends. You can take tours from Cancun, or go head straight to Akumal and go it alone. Done! See my Akumal Post Here. Mole, that thick, chocolatey sauce of dreams. I’ve had it a few times, but everyone I’ve met says I have to go to the source. It was first created in Puebla and in addition to being a historical town with tons to see, it’s a culinary capital that I need to venture to. It’s only about an hour from Mexico City, so I’m definitely earmarking it as a day trip this Fall. I blame it all on Christine of Almost Fearless and Jodi of Legal Nomads for my huge interest in eating my way around Oaxaca. Both have painted vivid pictures of life in this state and made me so hungry in the process. I can’t wait to see the colorful buildings, the constant festivals, and to eat all the food. Done! 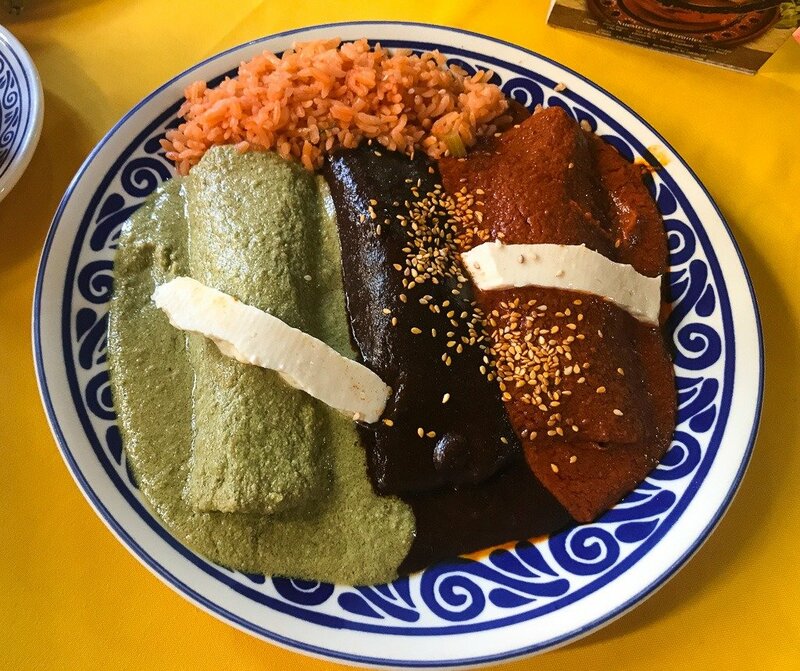 Here’s all the food that I ate in Oaxaca! I have to admit, this has always been something of a mystery to me. I don’t really know much other than that on November 1st children who have passed are commemorated and on November 2nd adults are commemorated. It’s done with huge altars of flowers and offerings. I am really interested in learning more about it and seeing what it’s like in person. I only recently heard about El Tajin – a historical pyramid a few hours east of Mexico City in the state of Veracruz. The pyramid has 365 windows – one for every day of the year. We’ve been told by friends that it’s the most impressive ruins in the country. That’s a serious claim for a country that is home to so many impressive ruins. We’ve bookmarked a music festival that happens every Spring as our time to visit the area. These canyons in the state of Chihuahua look absolutely incredible. There’s an old railway that you can take through the different old-fashioned towns and the hiking is meant to be spectacular. I’d like to head here during the Spring (Spring and Fall are meant to be the best times to visit) and see it for myself. There is a Copper Canyon Adventure park that looks like so much fun and several towns to stop in along the way where you can go horseback riding through the canyon. I’m thinking I’ll need at least a week here. San Miguel de Allende is a colonial-era town with well preserved buildings, cobbled streets, and breathtaking mountain surroundings. I think it’s a bit far from Mexico City to be a day trip, but I’m intrigued by it’s history. After almost turning into a ghost town, it was re-discovered and re-newed as an artist’s haven. There is an internationally acclaimed art university here and several smaller art schools that attract budding painters and sculptures from around the country. Done! 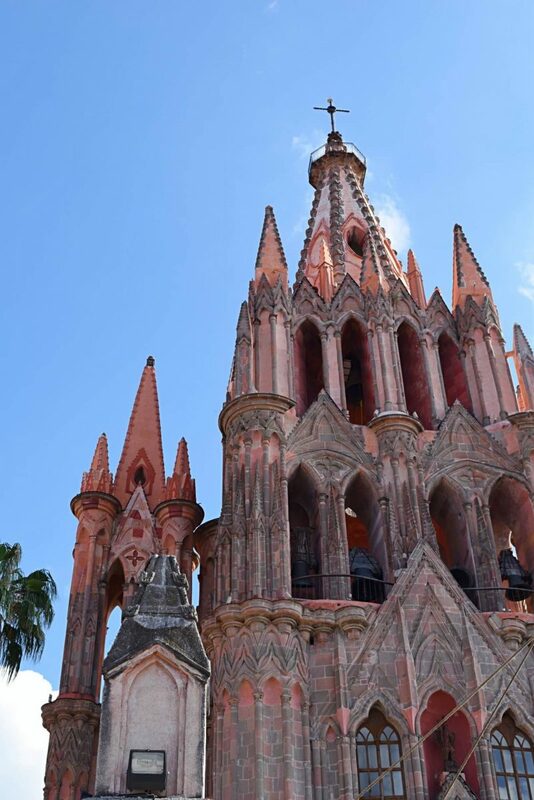 Check out my San Miguel de Allende post here! Sumidero Canyon in Chiapas is an absolutely breathtaking place. I learned about it when I started researching other things to do in Chiapas and I knew we had to check it out. You take a boat ride throug the canyon and some of the rock faces are over 1,000 meters talls! Done! 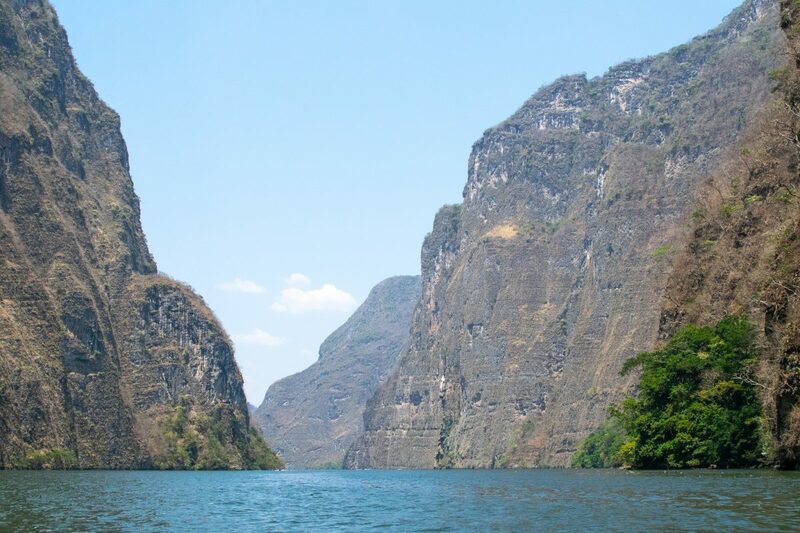 Read about (and see stunning photos of) Sumidero Canyon here. I know this is a little bit random, but Pujol is one of the top 50 restaurants in the world. When Luke and I still weren’t sure if we were going to move to Mexico, when we were still in the UK, we were watching an episode of Masterchef. They had brought the finalists to Mexico City, of all places, to cook. They went to Pujol and cooked alongside head chef, Enrique Olvera. Luke and I had this weird feeling that we were definitely going to Mexico City and ever since we got here I’ve been chomping at the bit to try this Mexican fusion spot. I only recently discovered this volcano that you can hike up. For a reasonable price, you can get a tour right from Mexico City. It’s a three-hour drive to the start of the hike and then another three hours to reach the peak. It looks absolutely amazing and from the top you can see the infamous and active volcano, Popocatépetl. Perhaps the most famous in Mexico, these Mayan ruins are located on the Yucatán Peninsula in the Southern part of Mexico. It was one of the earliest civilizations and it’s incredible to me that it’s still standing. The main temple, El Castillo, has 365 steps, one for every day of the year. It was recently named one of the new seven wonders of the world. DONE!! It was as amazing as I’d hoped it would be (maybe even more!). Read the full post here! The lakes at Las Coloradas are cotton candy pink. They are salt lakes that, due to the way they evaporate and reflect the sunlight, appear bright pink against the baby blue sky. I can’t wait to take a roadtrip here in a few weeks and see them in the flesh! Expect a post packed with pink photos very soon. Sort of Done – See the post here! Chiapas is an incredible state with so much to see, but it’s the ruins of Palenque which are drawing to the state most. Second on the list is Sumidero Canyon. Hopefully, I’ll get a chance visit both of them in a few months! I’m sure there are so many other places to see in Mexico. I’ve left off the obvious Cancún, Cabo, and Puerto Vallarta spots because I’m not sure if they’re really on my bucket list. In the very least, they are not a top priority, not the way these places are. Done! 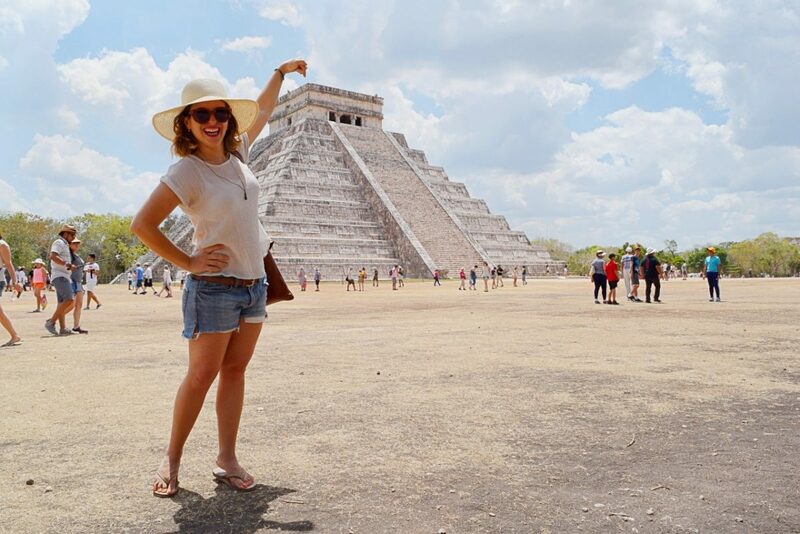 Read about how to see the Palenque Ruins here! This west coast is a part of the country that I wasn’t exactly sure about before I moved to Mexico. It’s only after visiting this stunning beach town that I can tell you that it should well and truly be on your Mexico bucket list! 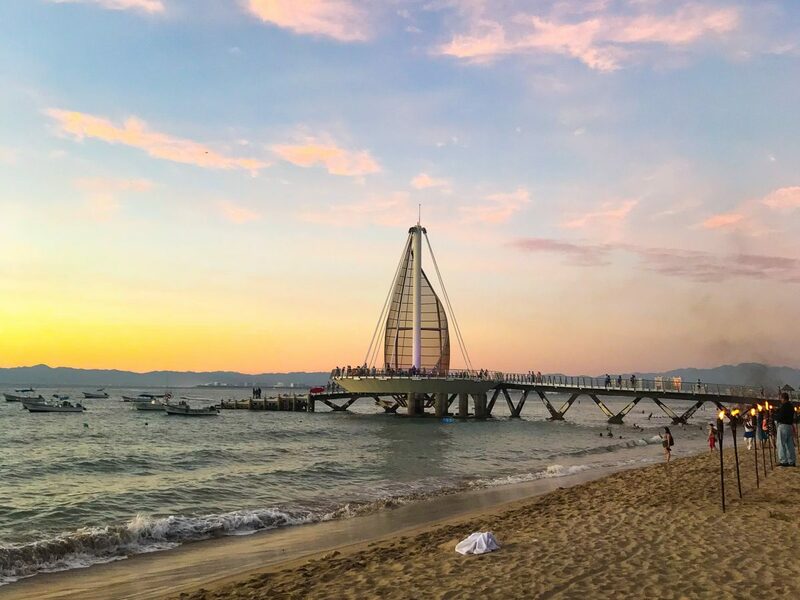 Check out where to eat in Puerto Vallarta here! Speaking of amazing beach towns, you cannot miss out on Puerto Escondido. If I absolutely had to choose my favorite beach town in Mexico, it would be Puerto Escondido. This place absolutely must be on your Mexico bucket list! Here’s my Guide to Puerto Escondido to get you started! Bacalar has been on my Mexico bucket list for quite some time, now. I still have yet to check out this beautiful slice of paradise which is often called “the Maldives of Mexico” because there are lots of little huts over crystal clear water. You can swim, paddle board, kayak, and simply relax in the sunshine. What more could you need? 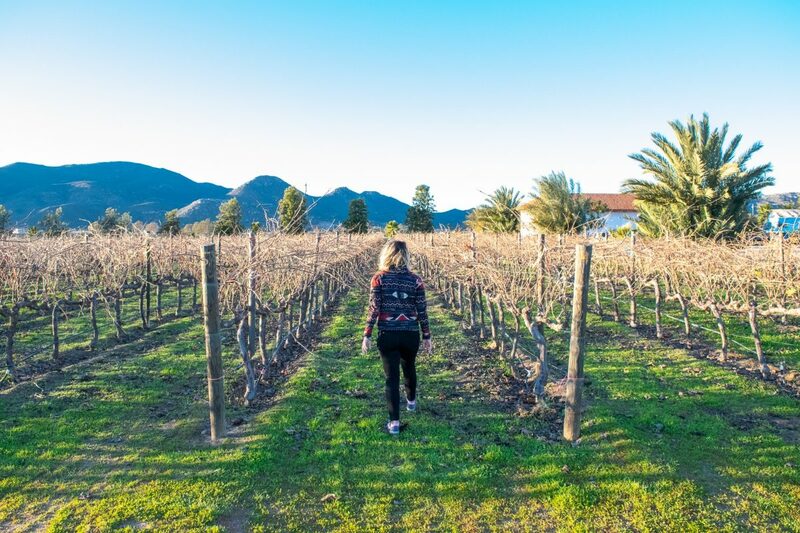 Did you know Mexico had a spectacular wine region? Neither did I! Valle de Guadalupe is easy to get to from Tijuana. You can drive your car or rent one and take it down to Ensenada. From there it’s only a 30-minute drive to one of the most stunning wine regions I’ve eve been to. There are miles of vines on one side and the Pacific Ocean on the other. The wine is pretty great too! 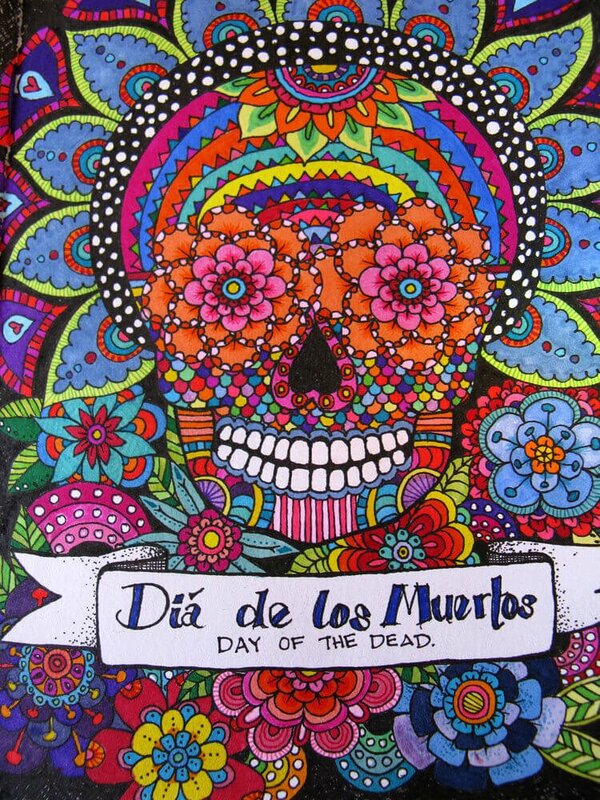 This is such a huge part of Mexican culture and something I would really love to experience. It’s not for everyone, but I would love to enjoy the atmosphere and perhaps see a “show” with a local or two so they could explain more about what’s happening. Where else is a do-not-miss in Mexico? I would love to know where you think are the best places in Mexico! Please share in the comments. Fantastic list! Sounds like you’ve got some great adventures coming your way! I never thought of going to Mexico but this sounds enticing. Looks amazing. You need to go to guanajuato,guanajuato its near from san miguel de allende. Its beautiful too! Great tip, thanks Mona! I’ll definitely look into Guanajuato! I am desperate to visit Mexico! Hoping I’ll make it next year sometime. My husband and I are taking an exploratory one week trip to Mexico this fall. We’re planning to retire in December and start our long-term travels in January. I’m drawn to Mexico and would love to spend an extended period of time exploring it. I’m a first time reader but can’t wait to hear more about your stay in Mexico! So glad that I discovered you today! I live in Belize and…good grief, I love the Yucatan…and wish I could travel more. Take a look a Laguna Bacalar…it’s beyond belief. Great list! I feel like I could spend a year or more traveling Mexico. I’ll definitely look into Laguna Bacalor! Thanks for the tip. I’m hoping to get down to Belize to do some exploring over the next year – looks like a stunning country! Very few travellers, but amazing architecture, food and an unforgettable free light show every week. It also has an old silver mine with a bar where at night you can get your kicks, we also travelled on the worlds only cablecar that crosses a whole city. Thanks for the comments and recommendation for Zacatecas. Sounds incredible! Would love to visit someday! I’m heading to Mexico for the third time in as many years in a few weeks, going to be check out San Miguel de Allende and re-visit Mexico City. Mérida, Yucatan is probably my favorite city in Mexico so far, kind of quiet in a dignified way but colorful and gorgeous and very much in touch with it’s Mayan roots. It helps that it’s surrounded by all sorts of amazing ruins, deserted beaches and fascinating little towns. Also Yucatecan cuisine really agrees with me. And it’s about 3hrs from Tulum, which is wonderful too. San Luis Potosi is pretty high on my list as far as places I haven’t been. The capital looks quite nice but Real De Catorce, Xilitla and the Huasteca are really calling out to me. I’d also like to drive from one end of the Baja California peninsula to the other at some point. I really wanted to get to Mérida while I was in the Yucatan last week, but was enjoying Tulum too much! Next time for sure! I’ve not heard of San Luis Potosi, but I’ll definitely look into it. Thanks for all the tips and enjoy your trip to Mexico! Let me know if you want to grab a coffee in DF and chat Mexico! Fantastic photo of turtle!! did you take that photo in the ocean?! If you are up for climbing La Huasteca in Monterrey it’s a really good place to do it! Monterrey it’s incredible for hiking and climbing, because it has a lot of mountains, you should definitely check it out. That’s a great tip! I’d never looked at going that way, but I love hiking so will definitely check it out. Thanks for sharing! Is there anything to do around Chihuahua or Delicias? Have you done a lot of driving in Mexico? If so, do you have any safety concerns? My family and I are thinking of taking a road trip from Phoenix to Puerto Vallarta and over to Mexico City and back. I haven’t done a ton of driving in Mexico – only through the Yucatan, but that was very safe and well signposted. I’ve read of a lot of people coming over from California and heading down to Puerto Vallarta and I’ve had friends who have driven north from Puerto Escondido to Puerto Vallarta and inland to Guanajuato and they had a blast. The trip from PV to CMDX is probably less frequented by tourists, but a busy route regardless. I recommend asking questions over on the Lonely Planet forums – experts in those topics are always hovering around answering. Sounds like it will be a great trip! Q: the Coppercanyon how days hike did you did ? and you had a good hiking guide overthere ? San Ignacio to your list on the Pacific side when the whales are migrating. Another life time experience.